If you are looking for Dedicated Divorce Lawyers near Bellshill, please get in touch. Our main office is located in Uddingston and we would be happy to meet you at a convenient location/time. Alternatively we can speak to you via FaceTime or Skype. You will find useful information regarding the main issues we deal with on our site. To be honest, every situation is different so whilst this information will provide you with a general outline there is no substitute for giving us a call (including Skype / FaceTime), arranging an appointment or dropping us an email. We are happy to have a quick pro bono chat with you initially to see if we can help. Look no further for your Divorce Lawyers, get in touch today for Free Initial Consultation. Call us now on 01698 815620. Rooney Family Law provides its services and team of expert Solicitors and Lawyers throughout Bellshill and surrounding areas. We specialise in Family law and are here to guide you through divorce and separation and custody cases. We are here to ensure you get what is rightfully yours and ensure that situations involving children are resolved in favour of the child or children’s best interests. We appreciate and fully empathise that at times like these, emotions and tensions can be running very high. We are here to do what is best for our clients and ensure they receive every measure of support we can give them. Rooney Family law is available throughout the Bellshill area and are here to help – all of our services and staff members are here for you and your family. We are able to arrange free initial consultations throughout Bellshill and arrange to meet with you to discuss your particular case and what you need from us. We ensure that you are informed and understand what your legal standing is for the time ahead and ensure you have the full support and backing of one of our excellent Family Law Solicitors. 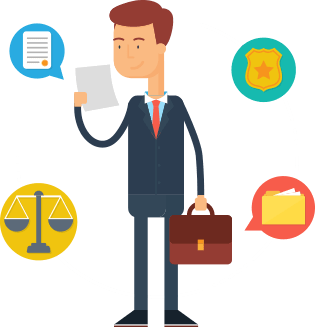 We are here to help guide you through the technicalities and intricate details that can be overwhelming at such a stressful time, it is why you should contact us right away to ensure you have the best team of experts working for your and your case. Offering free initial consultations we are able to explain to you in depth, what’s involved in going ahead with us representing you and supporting your case. Rooney Family Law offers financial advice and support to clients throughout Bellshill ensuring you are in a good position and less anxious about the up and coming or current divorce or separation case which you are going through at this difficult time. Our Rates are very competitive and it is worth getting in touch with us if you are in the Bellshill area for our full expertise and advice. Every persons divorce and separation is different – where it may involve children, financial matters or property, we know and understand the law and we are here to help you make the right decisions that are catered to suit you and your family’s best interests.